Dr. Pat Hutchings is a Senior Principal Research Scientist at the Australian Museum Research Institute. She received her B.Sc. with Special Honors from Queen Mary’s College of the University of London and her Ph.D. and D.Sc. in reproductive biology of a sea worm from the University of Newcastle upon Tyne. Pat is a Fellow and Senior Vice President of the Royal Zoological Society of New South Whales. She is Past president of the Australian Coral Reef Society, Former Councillor of the Australian Marine Sciences Association, Past President of the International Polychaete Association, and Former Vice President of the Coast and Wetlands Society. In addition, she was the recipient of the Silver Jubilee Medal from the Australian Marine Science Association for her contributions to marine sciences. Pat is with us today to tell us all about her journey through life and science. Pat tries to spend her free time outdoors with activities like sailing and gardening. She also enjoys cooking with fresh fruits and vegetables, as well as spending time with friends. As a marine biologist, pat is fascinated by the ocean and its creatures. Specifically, she studies sea worms called polychaetes. Pat describes new species and works to understand where they live, what they do, and how diverse they are. These worms play an important role in the food chain and she has been devoted to studying them her entire career. Pat is not willing to accept that something cannot be done. She is motivated to find ways to solve seemingly unsolvable problems. There was one teacher Pat points to during her early school years who was particularly supportive of her interests and encouraged her to apply to Queen Mary’s College to study marine zoology. While there, she was introduced to research and the sea worms she studies today. However, Pat’s interest in the ocean goes back to her early childhood where she would spend her summers on the southern coast of England exploring the beaches. Pat had an exciting opportunity earlier in her career to work in a lab in Israel for three months to investigate recruitment patterns of sea worms on corals. They worked hard to set up an experiment in Israel, and then she headed home to Australia to await the results. The experiment was set to run for two years, and upon its completion, Pat received a package from Israel with her treasured samples. When she opened the box, she was devastated to discover that the contents had been thoroughly investigated by customs agents, and many of the corals had been removed from their containers and the labels had been mixed up. They were unable to salvage the project, and all of her efforts were wasted. One of Pat’s most rewarding successes was creating the first international sea worm conference. The first meeting was held in 1983 in Sydney, and it was phenomenal to bring together researchers from 15 countries to meet each other face-to-face and share their research. People enjoyed the conference so much that they decided to continue to hold meetings every three years. Pat had the honor of hosting the most recent conference in 2013, 30 years after the inaugural meeting, and it was a wonderful experience. There are many extraordinary places Pat has been able to visit during her career. However, one of the most memorable places was the remote region of Kimberley in Australia. She traveled there in 1988 with a group of colleagues to studying land snails and sea worms. They were there for four weeks, making their way up the coast, and it was an incredible experience. The landscapes were spectacular and it was exhilarating to be surrounded by remote, unspoiled nature. Having fun with her colleagues is part of the culture in Pat’s lab. They enjoy going out to lunch to celebrate special occasions and accomplishments, and a lot of her previous students and postdocs have become close friends. The people Pat works with are very important to her, and this community is an important part of life as a scientist. Follow your passion! Pat studies sea worms because she thinks they are exciting. Being able to work with young scientists is a phenomenal opportunity. She has been able to learn so much from the people working in her lab, and it is important to keep learning new things throughout your career. Pat is fascinated by all aspects of polychaete biology, especially their systematics, ecology and reproductive ecology. 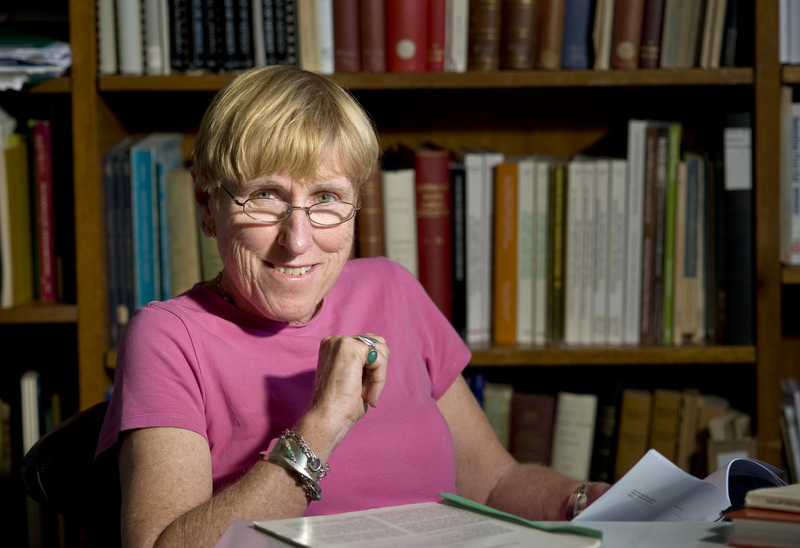 She became interested in polychaetes while an undergraduate at Queen Mary’s College, University of London in the 1960’s, and she undertook a PhD on the reproductive biology of a species of a polychaete species at the University of Newcastle upon Tyne, UK. This species forms dense colonies off the NE coast of England and is an important fish food for some commercially important species of fish. In 1970, Pat began working for the Australian Museum, and she has continued to enjoy working there ever since. Pat’s research has focussed on describing the Australian polychaete fauna, especially the family Terebellidae, as well as working on the phylogeny of the polychaetes using both molecular and morphological techniques. She also has been interested in the polychaetes which live in coastal environments especially those living in seagrass beds. In addition, Pat has studied the bioerosion of coral substrates both within Australia as well as in French Polynesia. As reefs continue to be threatened by anthropogenic impacts, such as increasing water turbidity and eutrophication, this has had major impacts on the rates and agents of bioerosion, which may lead to changes in the balance between reef growth and reef destruction.